ATLANTA, GEORGIA, UNITED STATES, May 23, 2018 – Former House Minority Leader Stacey Abrams has made Georgia and national political history as the first woman and African American to be the nominee of a major political party with her victory in Tuesday’s Democratic Primary. Abrams is the keynote speaker for a Georgia’s WIN List luncheon on Thursday. Joining her on the program are Sarah Riggs Amico the Lt. Gov. nominee and Lindy Miller the Public Service Commission District Three nominee, both of them Georgia’s WIN List endorsed candidates. Four legislative candidates also will make brief remarks to represent the 27 endorsed candidates for House and Senate seats who are running against Republican incumbents or for open seats long held by Republicans. 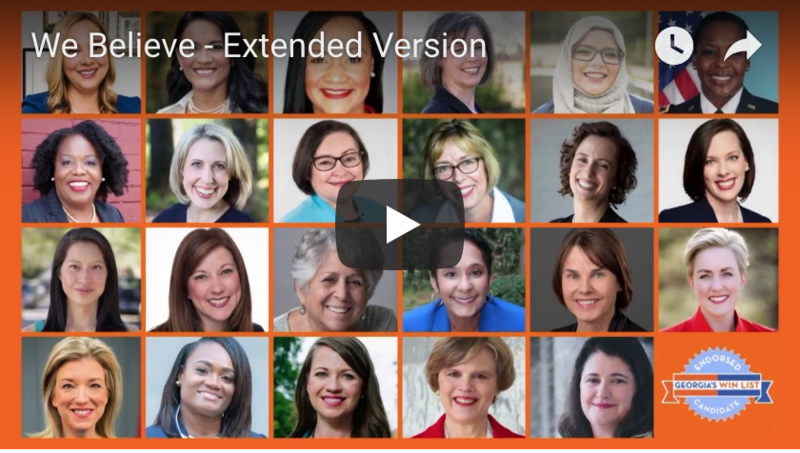 “Having a woman at the top of the Democratic ticket was the dream of those of us who founded Georgia’s WIN List more than 18 years ago,” noted Melita Easters, Founding Chair and Executive Director of WIN List. It is now the state’s leading PAC devoted to electing Democratic women who are committed to reproductive freedom. WIN List has helped elect more than 60 women to the General Assembly over the years, 33 of whom currently serve. There were 10 WIN List endorsed women facing Senate or House contests Tuesday. Of those, eight won their races, one advanced to a runoff and one lost. Jessica Walden advances to a runoff for middle Georgia’s House District 144 after leading a four-person field of candidates with 34 percent of the vote. Rep. Kim Schofield retained the HD 60 seat she won during a November 2017 special election and faces no opposition in November. Members of the press are invited to cover the luncheon at The Commerce Club in the 191 Building on Peachtree Street, Atlanta, Georgia 30303. Press registration begins at 11:30 with the program set to begin at noon. Pre-registration can be made with Executive Director Melita Easters via phone 404-408-9863 or e-mail, including television crews requiring risers.